The CSI.F Union (Central independent and Civil Servants Union) of the Miguel Hernández University is delighted to greet and welcome you. Since our beginnings in the trade union world, we have aimed for a union which is at the service of the workers with a clear vocation of independence. Its statutes enable it to be a modern, dynamic, negotiating and problem-solving union. All of us who participate in this project work eagerly, enthusiastically and with commitment every day. 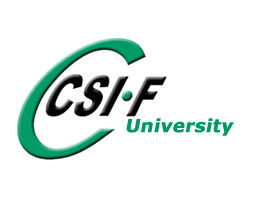 CSI.F, is one of the majority Unions in the Public Administration. Our challenge is to improve workers' socio-labor conditions and defend their rights through dialogue and negotiation. Our aim is to demonstrate that there is a different way to defend workers, and that participation, professional and responsible negotiation enriches society. All our colleagues who participate in the CSI.F Union of the Miguel Hernández University are at your disposition for whatever you may need.